Monk Fryston Art Club: Parrot after Sue Deighton's demonstration. 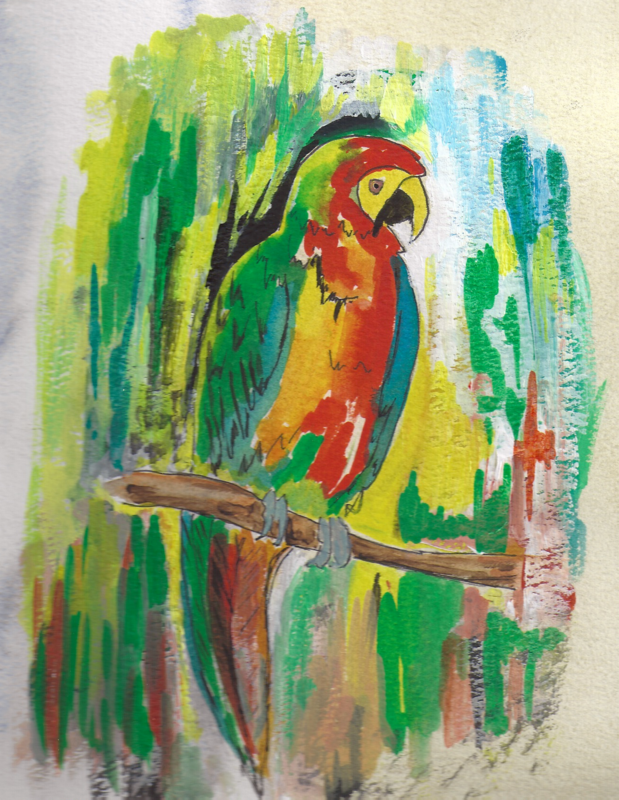 Here is a Parrot done by the club's president Jean Dearn following the demonstration by Sue Deighton a few weeks ago. There is no denying that Sue has certainly inspired Jean with her vivacity of colour. See earlier post about Sue's work for a better understanding.